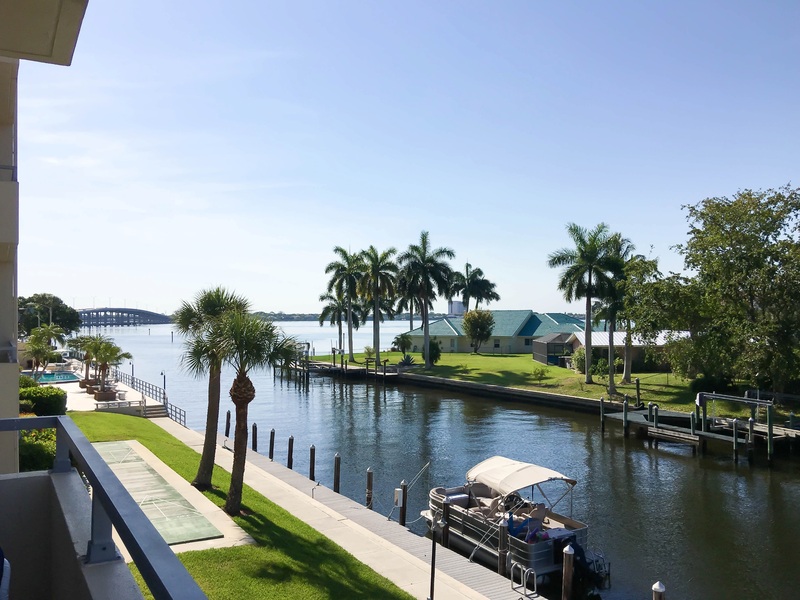 Highly Desirable RIVERFRONT truly hard to find with 2 Bedrooms located at Harbor South! located at the door of the river and the Cape Coral Bridge, this end unit comes fully Furnished SOLD Turn Key ! Here is your chance to own RIVERFRONT CONDO with plenty of dock space for your boat located at the River! This END UNIT has New Category 4 Hurricane windows providing Zero Sound from the outside! you're Morning coffee or glass of evening wine over looking the river, never gets old! Seeing is believing! Call JOE KENDALL at 239-560-0726 to schedule your own personalized showing of the unit, the grounds and the development! Take the tour with Joe here!